Millwall are in the midst of a relegation battle despite their form improving in recent weeks. Neil Harris’ men are five points above the drop zone heading into this weekend’s clash with Swansea City hoping to move eight points clear of the bottom three, should results go their way. One man who is important to the Lions’ hopes of securing Championship survival is striker Lee Gregory. The 30-year-old is Millwall’s top scorer this campaign with ten goals, seven coming in the league. And he is one of the most important players at the football club, and he is proving his worth to the side this term, which without him would have cost the Lions three points had his goals not have been counted. Gregory is a player who is more important than goals; his performances highlight his effectiveness within the team. The striker is prolific leading the line, putting pressure on his opponents – his hold-up play, too, is superlative to bring others into the play and get the Lions up the pitch. The man runs himself into the ground week in and week out getting forward and dropping back to dispossess his opponents. 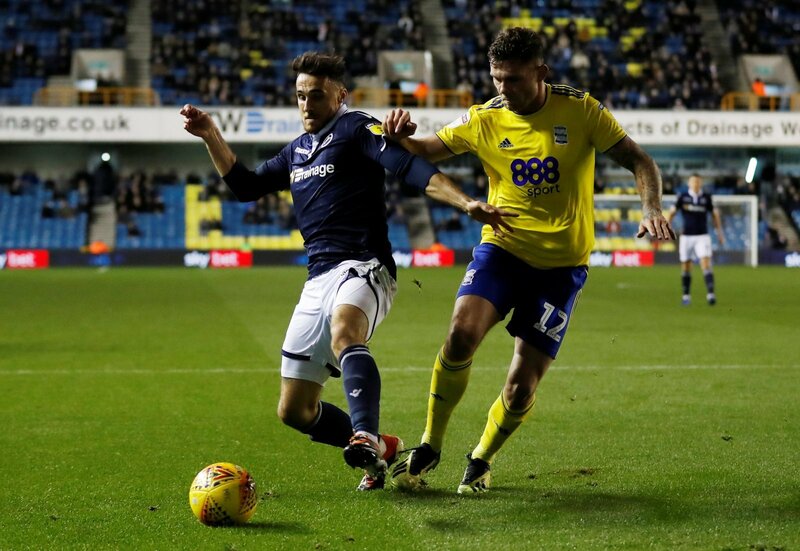 The striker was offered a new deal, according to NewsAtDen, but is yet to sign, so is he that important to Millwall, and would they be worse off if he were to depart at the end of the season? We take a look at his statistics to see if they back up his influence in the side. 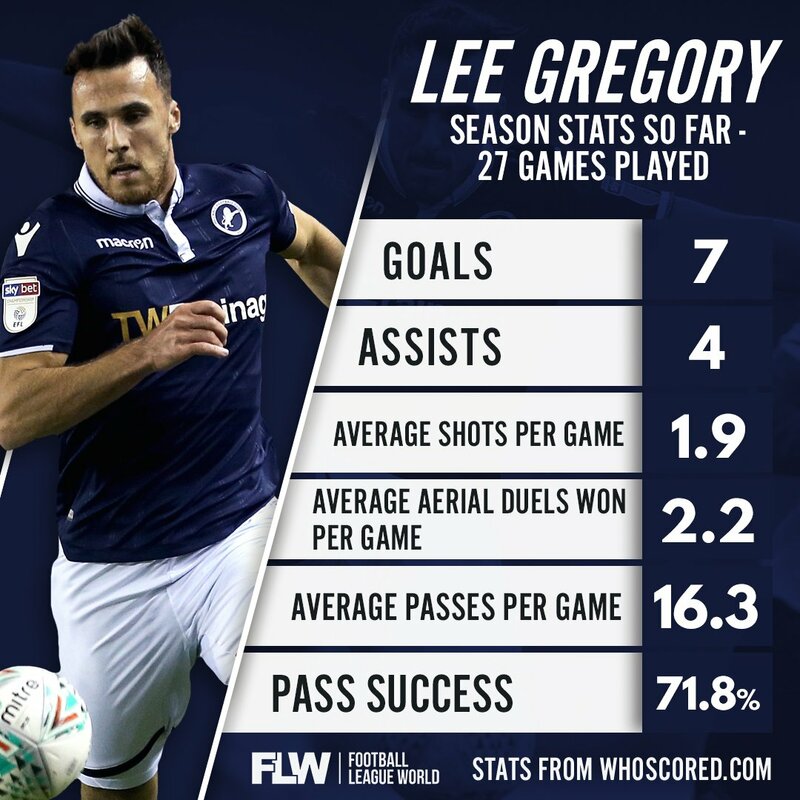 Gregory has made 27 appearances this term and has started on 25 occasions, which equals 2165 minutes played – the fourth most in the squad, and most for a striker. Of course, he has seven goals five of which inside the six-yard box, and two inside the penalty area, including four assists, too. The best efforts Gregory gives to this Millwall side is winning the knockdowns in a 4-4-2 formation or doing the running in lone striker role in a 4-5-1 or 4-3-3- formation. The 30-year-old averages 1.9 shots per game and has had a total of 50 shots this season in the league, scoring one in every 7 or so chances. Of his 50 shots, 33 have come inside the penalty area, 12 in the six-yard box, and five outside of the box. His pass success rate is 71.8, as he holds up play, and brings his other teams into the game to create chances. Gregory has made 440 passes over the last 29 matches, accurately pulling off 308m that is without the 24 key passes he pulled off, all short as he gets the ball lays it off and pushes forward or plays a ball into overlapping wingers – averaging 0.9 key passes per game. The stats for a man up front are not too bad – when not scoring goals – but his better influence is greater without the ball and doing the dirty work.